Educated in South Africa and at Oxford University in England, Nigel has been committed to the promotion of gold since 1980, when South Africa accounted for 70% of the Western World’s annual gold output and gold accounted for 40% of South Africa’s exports. From 1980 until 1986, he worked for International Gold Corporation, the gold marketing arm of the Chamber of Mines of South Africa, in London and Johannesburg, promoting South Africa’s Krugerrands in the UK and then internationally until sanctions were applied in 1985. Moving to Australia in 1986, he worked for Gold Corporation (which included The Perth Mint and Australian Gold Refineries), where he became a Board Director and Managing Director, GoldCorp Australia. In 1989, Nigel left Gold Corporation to set up Grendon International Research Pty Ltd (GIR) with Brigida Desebrock, working closely with the World Gold Council on many projects over the next 25 years. GIR is no longer taking orders for Nigel’s books. If you should wish to obtain printed versions, they are occasionally offered for sale second-hand on the Internet. GIR used to sell the printed books on gold refiners, gold bars and gold bullion coins at prices between USD 250 and USD 350. 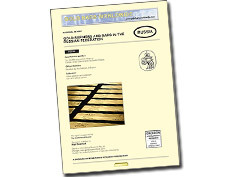 In 1993, Nigel and Brigida Desebrock instigated The Industry Collection of Gold Bars Worldwide, with the support of N.M. Rothschild & Sons (Australia) Limited and the World Gold Council, to support the promotion of gold. It is the world’s largest collection of gold bars. From 1993 until 2013, Grendon International Research Pty Ltd (GIR) acted as the Curator. Offering easy access to more than 1,000 different bars, it has been the source of hundreds of high quality photographs for inclusion in Nigel’s books and on the Gold Bars Worldwide website. The Collection has also been used to stage major exhibitions in Europe, North America, South America, Middle East, Far East and Australia. In 2013, GIR arranged the sale of the Collection to Degussa Goldhandel GmbH, which is planning to open a gold museum in Frankfurt in 2018. To obtain further information and access a 5-minute video, click here. Nigel’s four printed books on gold refiners, gold bars, gold bullion coins and the Indian gold market were included in the LBMA Bibliography. As a service to the gold industry, visitors to this site may view, if they wish, the contents of the five books below for personal reference – at no charge. By Nigel Desebrock. This unique book is the outcome of fieldtrips to 23 countries. Published in 1991, when the Internet was not widely available, it was viewed as a “bible” during the 1990s. It contains extensive information on the background, history, products and services of 50 gold refiners accredited to the LBMA, COMEX and TOCOM. It also includes the findings of a survey of gold bar manufacture and refining services worldwide, as well as technical articles by eight independent experts. As the only book of its kind, it is still used as a reference work on the activity of refiners. 1,000 photographs. 476 pages. By Nigel Desebrock. This book, the first of its kind, was published in 1998. It illustrates the surge in manufacture of standard and innovative small gold bars since the abandonment of the Gold Standard in 1971, which led to private investors in many countries being allowed to own gold bars for the first time. 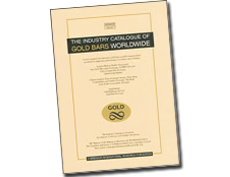 It provides information on 700 cast and minted gold bars, in a plethora of shapes and sizes, from 100 bar manufacturers and issuers in 28 countries. The Industry Collection of Gold Bars Worldwide, established by Nigel Desebrock with the support of N.M. Rothschild & Sons (Australia) Ltd in 1993, provided most of the 950 colour photographs. 344 pages. By Nigel Desebrock. This book, the first of its kind, contains comprehensive information on the history of gold bullion coins since the launch of the Krugerrand in 1967. It covers 1 kilo to 1/25 oz bullion coins, issued at low premiums above the value of their fine gold content by 10 leading mints, notably the Austrian Mint, China Gold Coin Incorporation, Mexican Mint, The Perth Mint, The Royal Mint, Royal Canadian Mint, South African Mint and United States Mint. Sections on each mint and its bullion coins range from 15-60 pages, and include annual sales/mintage statistics, broken down by size of coin, from launch. The book contains 400 photographs and illustrations, including 90 historical gold investment advertisements. 380 pages. By Nigel Desebrock. 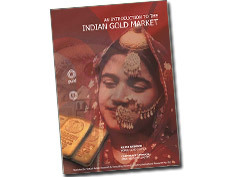 This book, the first of its kind, is a practical guide to the Indian gold market. It is the outcome of fieldtrips to 38 cities, towns and villages, and interviews with 191 gold-related businesses and institutions throughout India in 2002. The original research is supported by several previous fieldtrips to India, as well as Dubai and Singapore, both major conduits of bars to India, during the 1990s. It records the restraining actions of government from India’s independence in 1947 until the liberalisation of the Indian gold market in the 1990s. 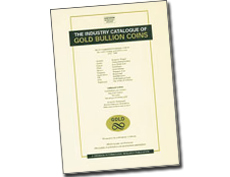 Extensive sections and sub-sections cover all aspects of the national gold bullion and jewellery markets. It contains much historical information, 75 statistical tables and 100 photographs. 192 pages. By Nigel Desebrock. 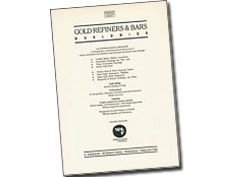 This book, published online on the Gold Bars Worldwide website in 2010, is the first to provide extensive information on gold refining and bar manufacture in the Russian Federation. It includes chapters on each of the eight major gold refiners in Central Russia, Urals, Siberia and Far Eastern Russia. Fieldtrips were undertaken with the support of The Gokhran of Russia (The State Repository of Precious Metals and Gemstones of the Russian Federation), a subordinate organisation of the Ministry of Finance. Gokhran also provided statistical tables and historical information, relating to precious metals, which had never before been published. 200 photographs. 100 pages. Gokhran printed a version in Russian for circulation within the Federation. By Nigel Desebrock. This article contains a summary of the findings of a major study of the Iranian gold market and its main suppliers, Dubai and Turkey, undertaken in 2004 and 2005. It was commissioned by the World Gold Council and supported by the Iran Trade Promotion Organisation and Australian Trade Commission (Tehran). The national study, the first in 25 years to be undertaken since the Islamic Revolution in 1979, revealed that Iran had become one of the world’s major gold consuming countries. 3 pages (PDF 544kb).